The weather wasn't the best this weekend but at least it was dry. 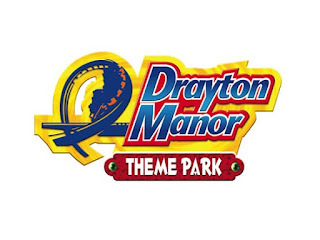 Armed with our raincoats, just in case, we headed off to Drayton Manor Theme Park for our very first visit of 2017. We're always excited for our first visit of a new year to see what's changed, if anything. 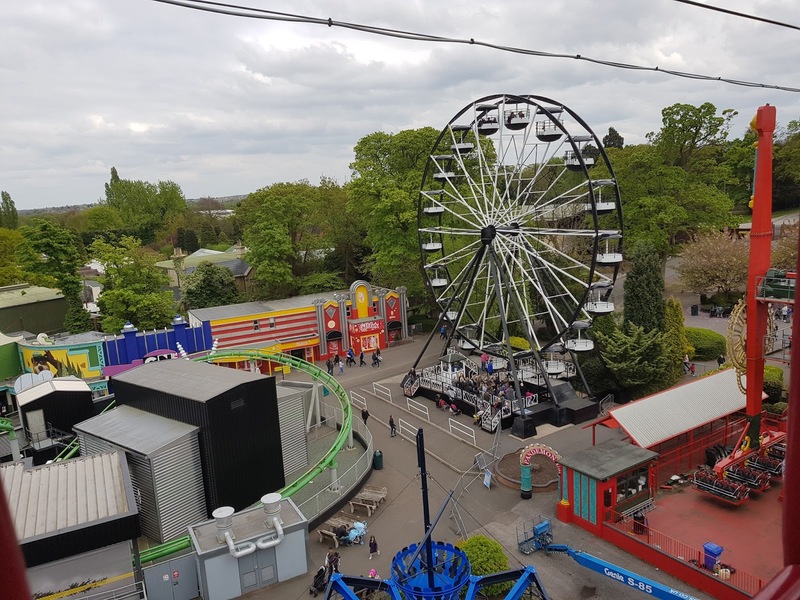 This year there was lots of changes including rides being renamed, some being updated and lots of height restriction changes too. Even though there's lots of changes, you'll be glad to know that lots of things are still exactly the same and the fun levels haven't changed at all - yay! 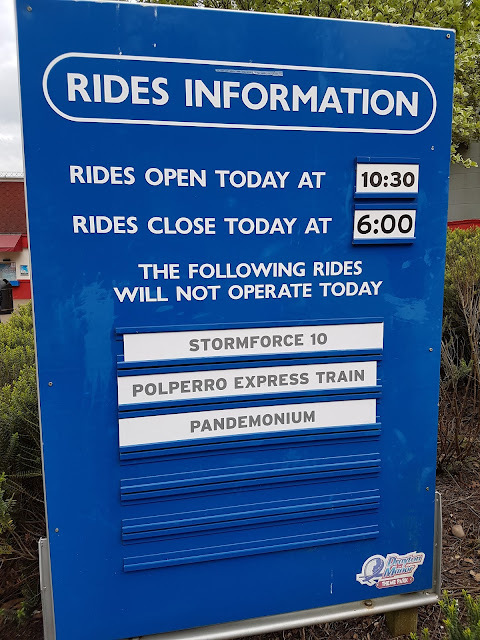 Upon arrival there's a board outside the Main Entrance showing a list of any rides that are closed on the day of your visit. There were 3 rides closed on our day but they weren't really rides that we were going to go on so it didn't effect us really but I did like the fact that they are clearly on display before you pay your money in case you'd like to change your mind. We arrived at 10.15 am just in time for the rides to start up at 10.30 am. 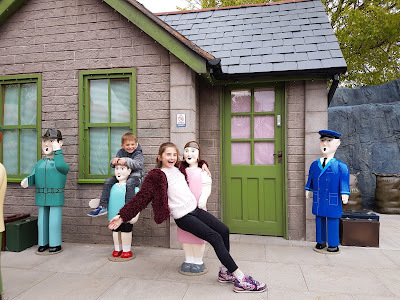 We headed over to the far side of the park to avoid the queues as most people tend to head straight into Thomas Land. Sometime the queues in Thomas Land can be bigger than the queues for the bigger rides out in the park but on Saturday there was hardly and queues at all which was great. With it being the Bank Holiday Weekend, we'd been expecting it to be much busier. 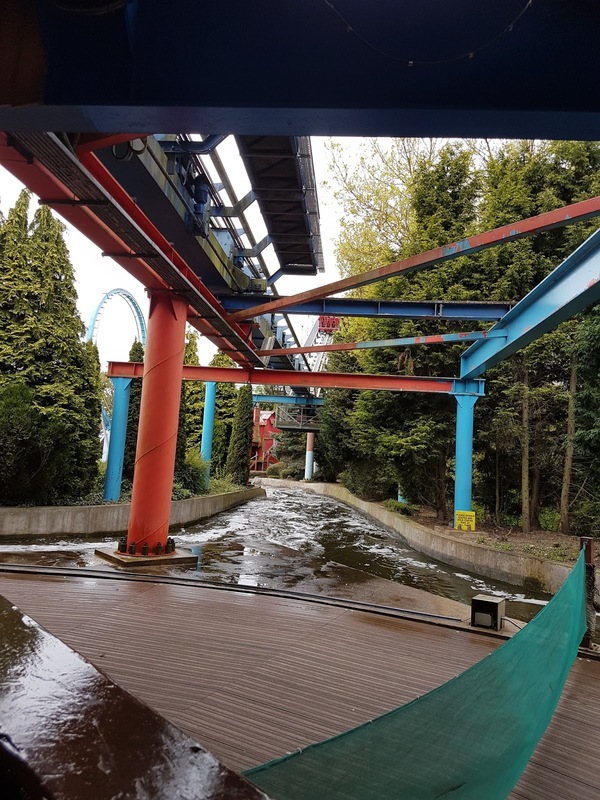 Our first port of call was the Splash Canyon which is my little boys favourite ride. I think we rode it 4 times in total throughout the day, getting soaked each time we did but that was all part of the fun. Ryan loves riding the rapids and I love the fact that's it on of the only rides that we can all ride together as a family of 5 as a total of 6 people can ride per boat. 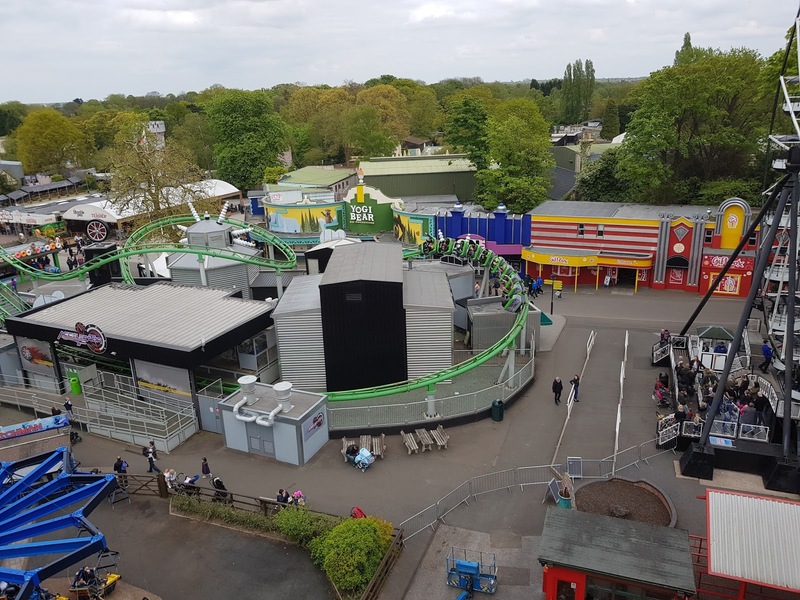 Another favourite of ours in the Air Race, Lily loves this ride and again went on several times throughout the day. I like this one too but once is enough for me or else I get really dizzy. It's one of the newer rides to the park but has soon become a firm favourite of ours. 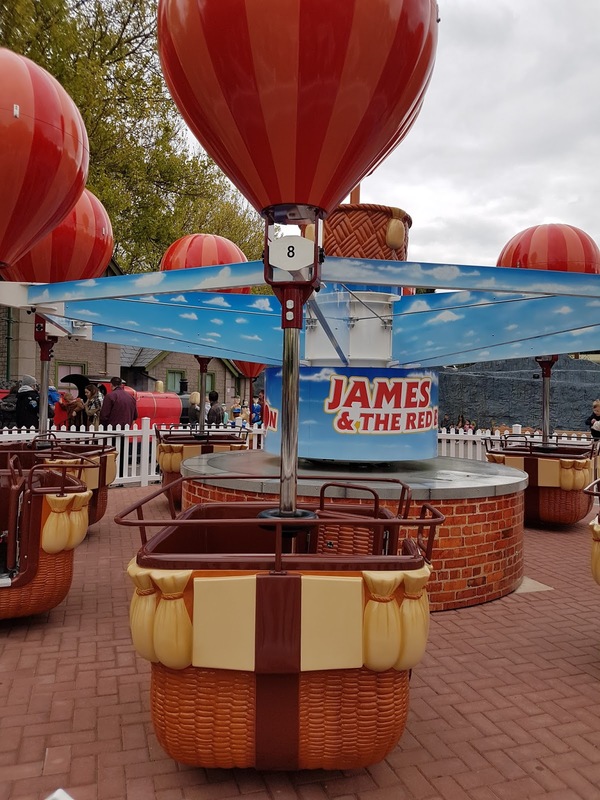 The newest ride to the park is the James and the Red Balloon ride in Thomas Land which only opened a few weeks back. Ryan was so excited to see it and wasn't disappointed when he did. It's a great little ride where you sit in a hot air balloon basket that goes up in the air whilst spinning around. You have a wheel in the middle that lets you spin your basket as fast as you like, of course our basket was flying around and let me feeling rather sick when I got off. It's only one adult per basket on this ride so the queue was a little longer than most but it's well worth waiting for as it's a fantastic ride, both Lily (10) and Ryan (7) loved it. 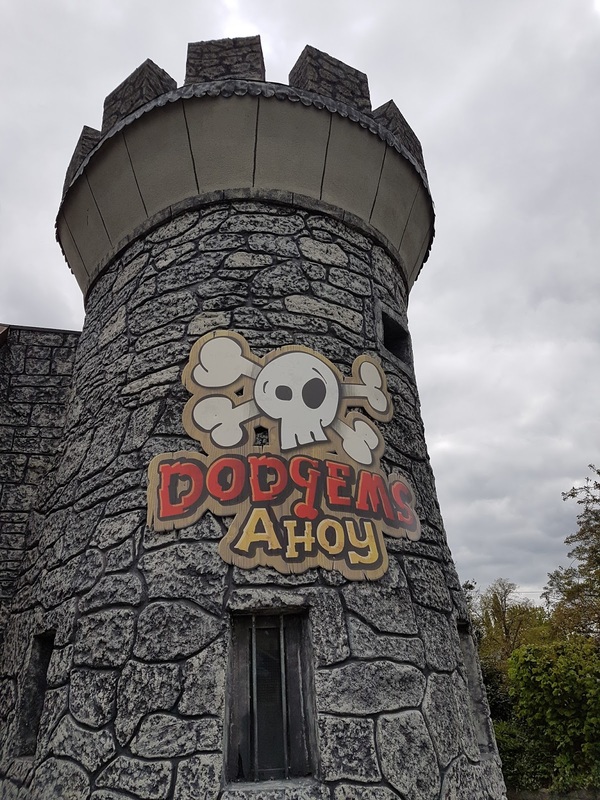 The Dodgems have had a total revamp and are now called Dodgems Ahoy as they've been given a Pirate make over. The ride itself is actually still the same but the outside is different. 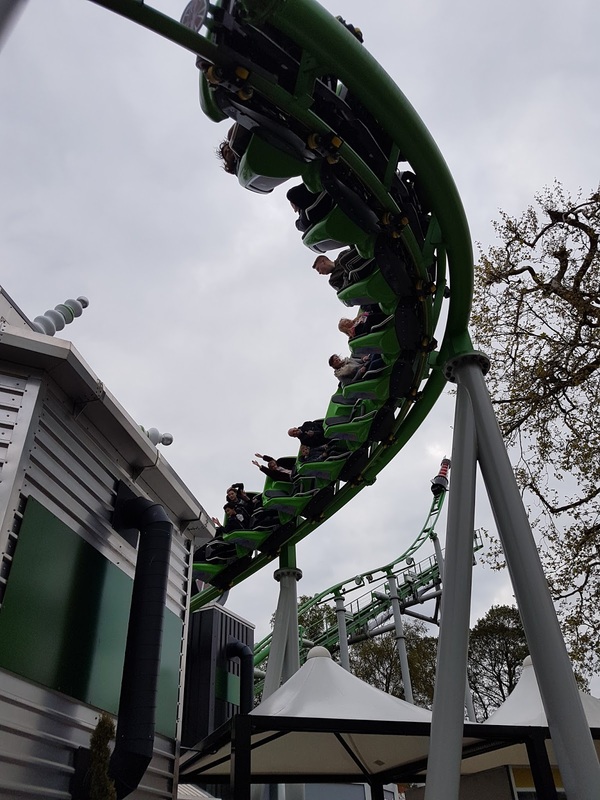 Another change is the Ben 10 Roller coaster ride is not called that any more. 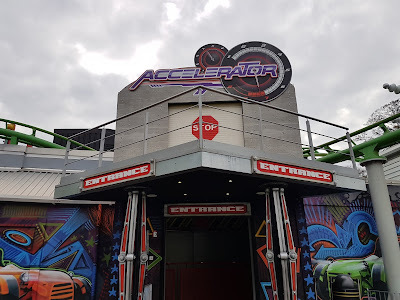 It's been renamed the Accelerator and has changed completely inside. The Ben 10 Characters are no longer there and instead there's lots of cars and garage equipment which is pretty cool. We love this little roller coaster as it's the biggest ride Ryan can ride as he's too small to ride the bigger ones. He doesn't mind though as he loves this ride, just before the park closed at 6 pm they went on it 4 times in a row as there was no queue for it at all. They just kept running back around so they could ride it over and over again. Once was enough for me though, then I was happy to sit back and watch and take the photographs of course. It might not be clear to you but that little pair of hands up in the air, that's my Lily. We had a wonderful day in the park, arriving when it opened and leaving when it closed. 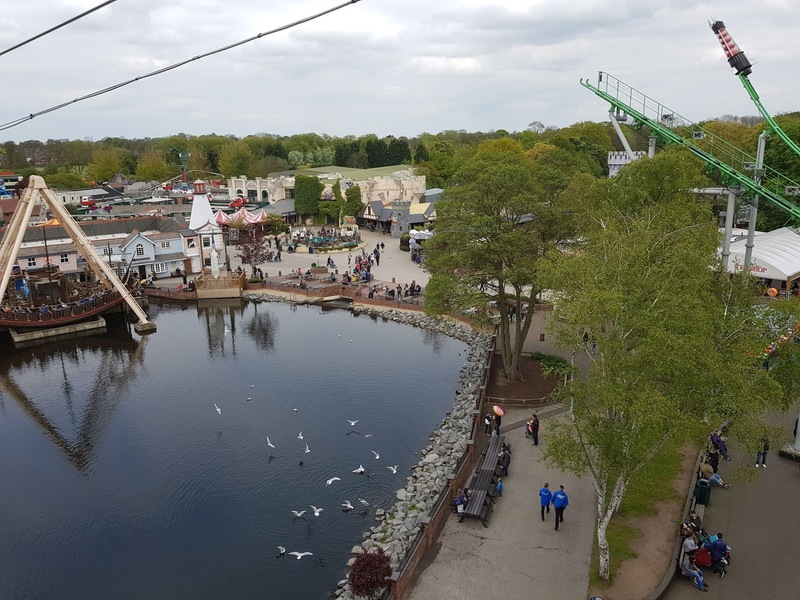 We always get a full day of fun at Drayton Manor as there's just so much to see and do. You forget how beautiful the park is until you see it from above whilst riding the Cable Cars. Just look at those views, aren't they marvellous? Well, I certainly think so. They're delightful. 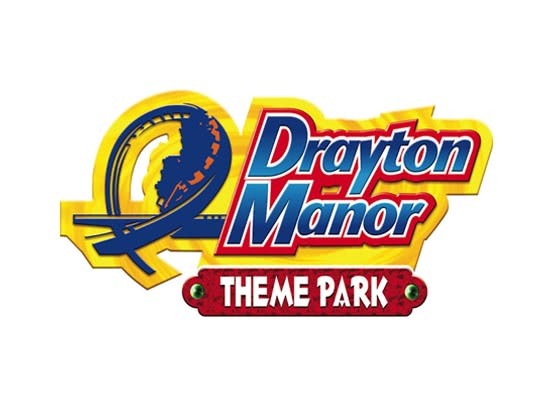 Drayton Manor Theme Park is great for children of all ages and adults too. 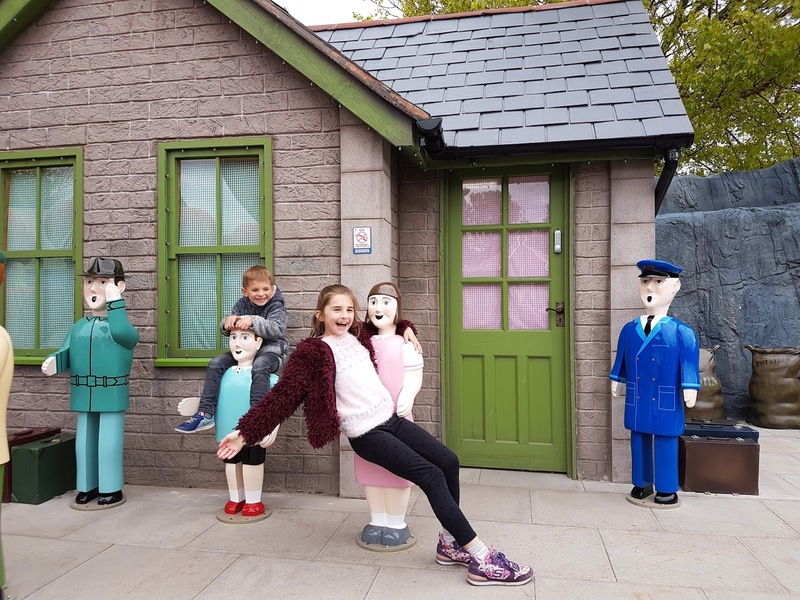 Thomas Land is full of rides suitable for the small children whilst the rest of the park is full of rides suitable for the adults, teens and more adventurous children. There's even a Zoo full of animals too. 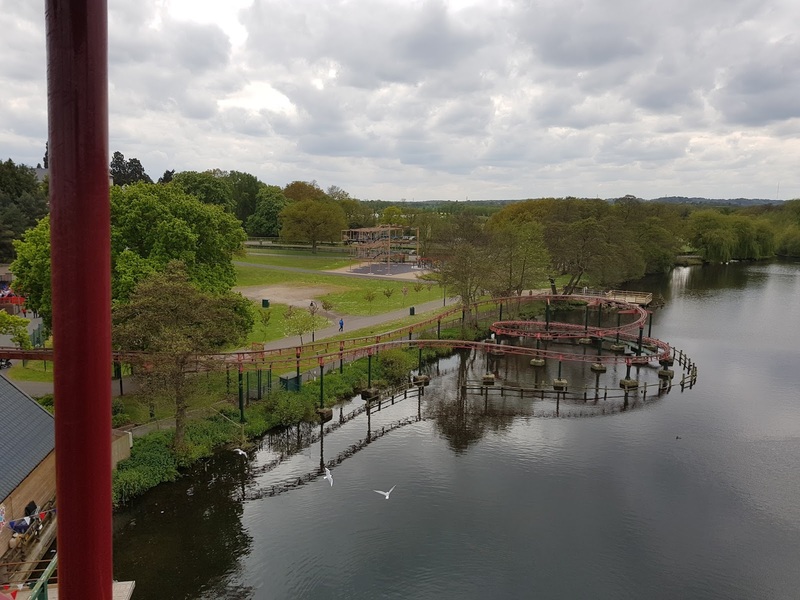 You'll never get bored at Drayton Manor Theme Park, that's why it's one of our all time favourite places to visit near Birmingham. No matter the weather, it's always fun! We had such a great day and can't wait to go back soon, maybe on a slightly sunnier day. Disclosure: We were invited along to Drayton Manor Park for the purpose of this review.